Bernie Siegel first wrote about miracles in 1986 when he was a practicing surgeon. His groundbreaking first book, Love, Medicine, & Miracles, prescribed more love as a path to healing and challenged the medical community to open to the possibility of miracles. We hope you’ll enjoy this short excerpt from the introduction of the new paperback edition of A Book of Miracles, which includes stories Bernie compiled during his more than thirty years of practice, speaking, and teaching. Without diminishing the reality of pain and hardship, the stories show real people turning crises into blessings by responding to adversity in ways that empower and heal. They demonstrate what we are capable of and show us that we can achieve miracles as we confront life’s difficulties. As life gets busier and more complicated we crave something larger and more meaningful than just ticking another item off our to-do list. In the past, we’ve looked to religion or outside guidance for that sense of purpose, but today fewer people are fulfilled by traditional approaches to meaning. 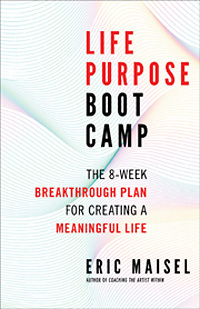 We hope you’ll enjoy this short excerpt from Dr. Eric Maisel’s new book Life Purpose Boot Camp, which offers an alternative approach for creating a meaningful life. The book offers an eight-week program for naming and implementing your unique purposes. Like military boot camp, his plan requires radical changes and commitment, but its rewards are sure to be transformative. Every November, thousands of writers participate in National Novel Writing Month, or NaNoWriMo, during which they aim to complete a 50,000-word first draft of a novel in 30 days. 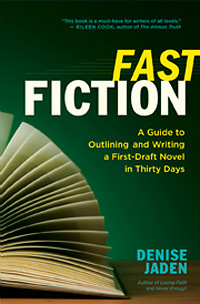 With this year’s NaNoWriMo quickly approaching, we asked Denise Jaden, author of Fast Fiction, who has taken the challenge for eight consecutive years, to share her advice for those who will be participating this year. We hope you’ll enjoy, and implement, the five tips she offers. Happy writing! Life is full of surprises that are not always the kind we would wish for: A relationship ends. An illness interrupts our life. A career path doesn’t go as planned. A project we poured everything into doesn’t bring the results we expected. We hope you'll enjoy this short interview in which Christine Hassler, author of Expectation Hangover, offers practical advice for learning from disappointment rather than just attempting to get rid of it, get over it, or wallowing in misery. We also invite you to subscribe to New World Library's YouTube Channel for immediate access to the latest author interviews, book trailers, and more. 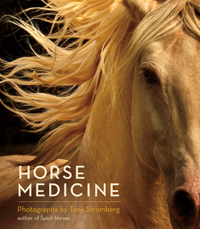 After more than a decade as one of San Francisco’s top commercial photographers, Tony Stromberg followed an inner yearning for more space and stillness and moved to New Mexico to pursue his true passion in fine art photography of his favorite subject, the horse. After his first two photography books, Spirit Horses and The Forgotten Horses, were published, he received innumerable emails from people praising his photos for how they capture the pure spirit, the essence of the horse. What really amazed him was that many who wrote were not horse people at all. We hope you’ll enjoy this short video in which Eckhart Tolle tells Oprah Winfrey why he calls pets “Guardians of Being,” which is also the title of the delightful book he cocreated with Patrick McDonnell, the illustrator behind the acclaimed comic strip MUTTS. More than a collection of charming drawings with insightful captions, the marriage of Patrick McDonnell’s art and Eckhart Tolle’s words conveys a profound love of nature, of animals, of humans, of all life-forms. Guardians of Being celebrates and reminds us of not only the oneness of all life but also the wonder and joy to be found in the present moment, amid the beauty we sometimes forget to notice all around us.